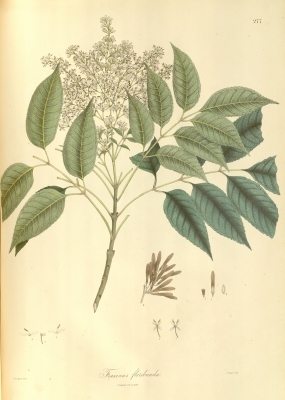 Fraxinus urophylla (G.Don) Wall. ex A.DC. The tree is harvested from the wild for local use as a food, medicine and source of wood. It is sometimes grown as an ornamental. Asia - Afghanistan, Pakistan, India, Nepal, southern China, southern Japan, Myanmar, Thailand, Laos, Vietnam. A dioecious species, both male and female forms must be grown if seed is required. Complete Book of Baskets and Basketry. Not that complete but very readable and well illustrated.